Hiding just off of Rainer Beach, where it once towed logs around the south end of Lake Washington is a small tug we call the Snickerdoodle. The engine, propeller and rudder have been removed, so the tug was most likely scuttled many years ago after it had exceeded its useful life. 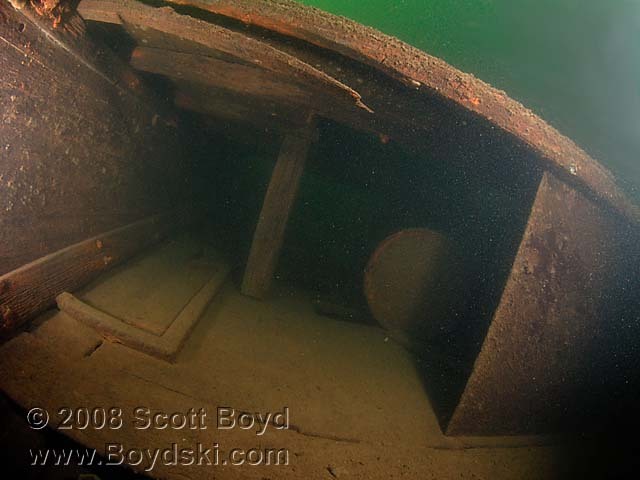 The stout hull of the tug still proudly displays the iron portholes that were placed there many years ago, although at least one of the portholes has now fallen to the bottom. There are several barrels standing inside the vessel, which were most likely used to sink this once proud tug. 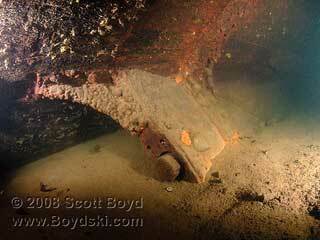 A "bonus" wreck lies just off the port quarter of the tug, where a small rowboat has also been sunk. This pair of relatively shallow wrecks could probably be accessed from shore, or might make an interesting scooter dive. We just like to stop by and splash on the Snickerdoodle with our remaining back gas after diving a few of the deeper wrecks in the lake. 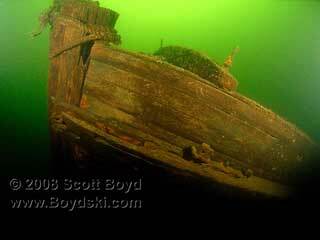 The visibility and ambient light on he shallower wrecks is a pleasant change from the dark "Braille like" diving in the middle of the lake.